Community Marketing and their team (Tom Roth and David Paisley) held yet another successful all-day series of workshops, panels and seminars, helping to educate companies as to the "how's and why's" of marketing to the GLBT community, in this case specifically for the travel market. 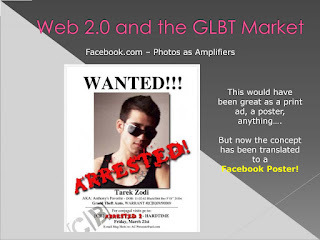 The turnout, despite the recession, was very good and incredibly, almost everyone stayed until the very end where myself, Thomas Boemkes and Serge Gojkovich spoke on GLBT online marketing in terms of more advanced social network marketing. The presentations during the day came from an incredible roster of speakers, including Martine Ainsworth Wells of Visit London, and Andrew Stokes of Marketing Manchester. In addition, we got to hear from Andrew Roberts of Amro Worldwide Travel on the success and increased PR achieved through the "So Gay" campaign they did in 2008, together with Ian Johnson of Out Now Consulting. Our company, Pink Banana Media, is taking our successful seminar series we’ve done in various cities over the past few years and bringing it online throughout 2009. Our presentation has changed these past few years, focusing on the various aspects of Social Network Marketing and helping to define just what is Web 2.0 and how does it fit in with a company’s overall marketing mix. There are so many perceived options, including blogs, Facebook, YouTube, MySpace and more, and our goal has been to both demistify this environment as well as break it down into what is most important for a company today when trying to promote their product or service in this new online frontiers. 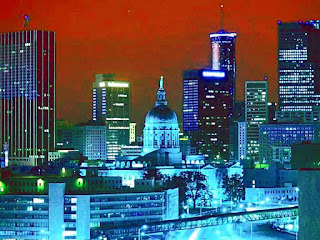 Just about everyone along the East Coast of the U.S. knows Atlanta is the queer 'Mecca' of the South. Gays and lesbians have flocked to this Southern metropolis over the years in droves - and for good reason.